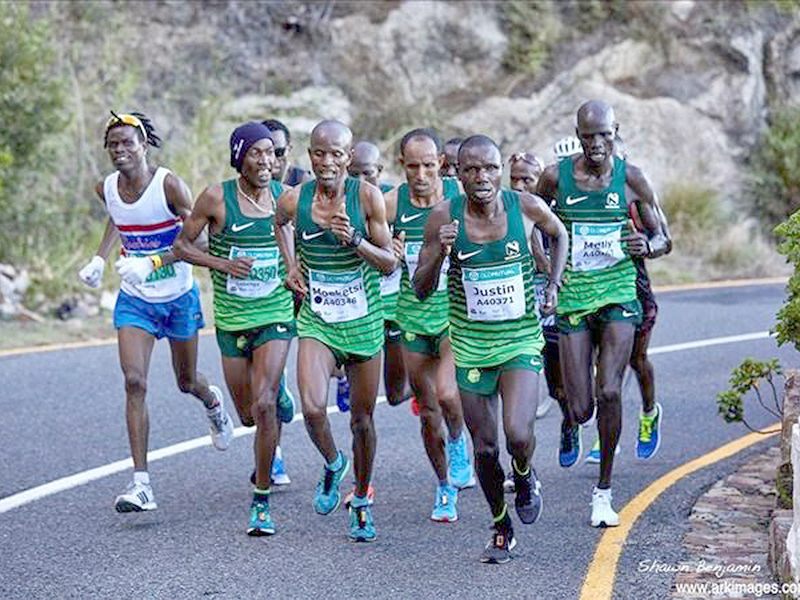 As befits one of South Africa’s major ultra-marathons, the 50th Old Mutual Two Oceans Marathon has attracted a sprinkling of Africa’s best athletes who will all be chasing time in the 56km and half marathon events on Saturday. A potent Kenyan contingent has drifted into Cape Town this week and that country’s world dominance of men’s distance running is likely to continue on the tip of Africa with Thompson Magawana’s record of 3:03:44 – set way back in 1988 – in danger of finally being broken. With a R1-million incentive for bettering the 31-year-old record, the timekeeping has to be pinpoint accurate and top Australian timing company, SportsSplits, working in conjunction with their Durban-based South African-partners, FinishTime, have been tasked with keeping tabs on the runners. The high-tech RFID timing chips which are part of the race number of each competitor, uses UHF technology to track the runners along the 56km route. The proprietary tracking software uses timing points as well as the terrain to accurately predict runners’ positions at any point in the race. Spectators can follow the leaders racing for glory, as well as any other participants, on their mobile phones using the SportsSplits Tracker app. With no TV coverage this year, the tracker app could be the best way of “watching” the action unfold as well as keeping track of the progress of loved ones. Leading the charge for the R1-million are likely to be defending champion Justin Kemboi Chesire and the Kenyan-born Frenchman Abraham Kiprotich. 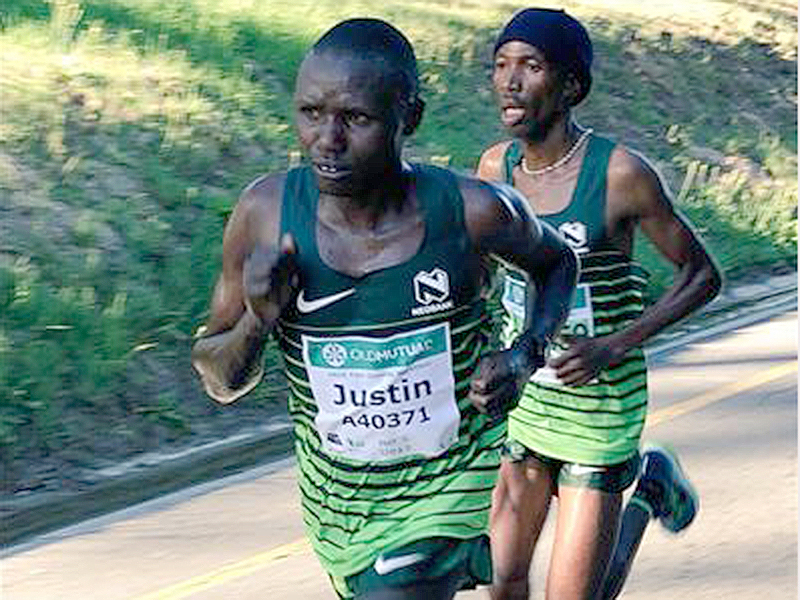 Kiprotich has the fastest marathon time in the field, but his 2:08 over 42km does not take into account a brutal final 14km which includes the Constantia Nek climb. It is over the final portion of the race where Chesire’s race-winning experience could give him the edge. Melly Kennedy Kiptoo, who was sixth in 2017 and fourth last year, is another Kenyan who could be in line for a quick time and a big payday, while South African Edward Mothibi and last year’s runner up and 2014 champion Lebenya Nkoka from Lesotho cannot be counted out. A strong contingent of Cape Town locals, including 2017 winner Lungile Gongqa and veterans Lindikhaya Mthangayi and Mthandazo Qhina, will all be chasing gold and hoping to stop the Kenyan onslaught. In the women’s race, 32-year-old Irvette van Zyl will provide plenty of interest. She had planned to run her first ultra a year ago but was seven-months pregnant at the time, so 12 months later, and just ten months after giving birth to her second child, she will bring a fearsome unknown factor in the race for the podium spots. Van Zyl has played down her chances of beating Frith van der Merwe’s 31-year-old course record of 3:30:37 – but then she also never intended to break the Soweto Marathon mark in November and took three minutes off that time. Her biggest challenge is likely to come from last year’s winner Gerda Steyn and runner up, Polish marathon champion Dominika Stelmach, while another relatively new mother, Rene Kalmer, will be hoping her recent hamstring and calf injuries have healed sufficiently to allow her to win her debut ultra. Race registration started on Wednesday and the 56km and 21km half marathon events will take place on Saturday.